Riverhill is a hillside garden set below a historic manor house. 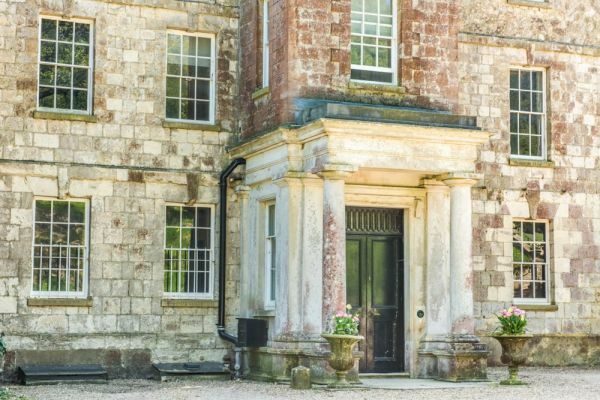 The house has been the home of the Rogers family since 1840, and family members guide visitors around the garden (and the house for pre-booked groups). 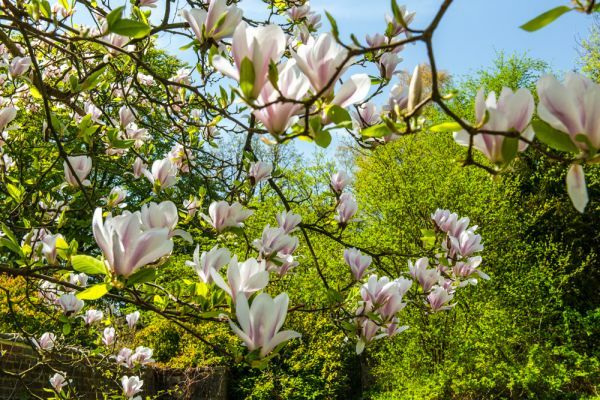 The garden consists of sheltered terraces overlooking the valley below, where you will find a profusion of roses, as well as unusual shrubs and trees. 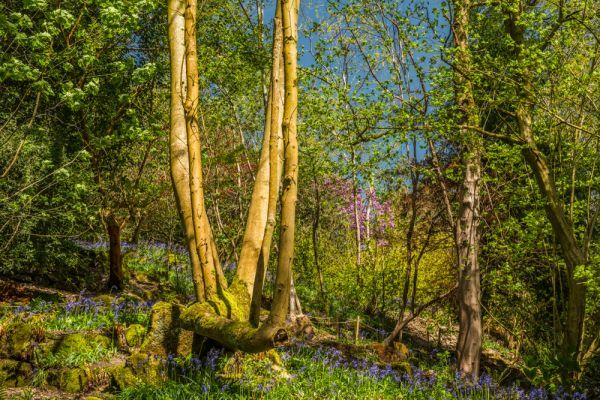 There is a large woodland garden area further from the house, where you will see carpets of bluebells under the spreading boughs of ancient oak trees in spring. The house at Riverhill dates to about 1714 when it replaced an earlier Tudor farmhouse. The current Riverhill house has a central block in Queen Anne style, with a later Georgian third storey. 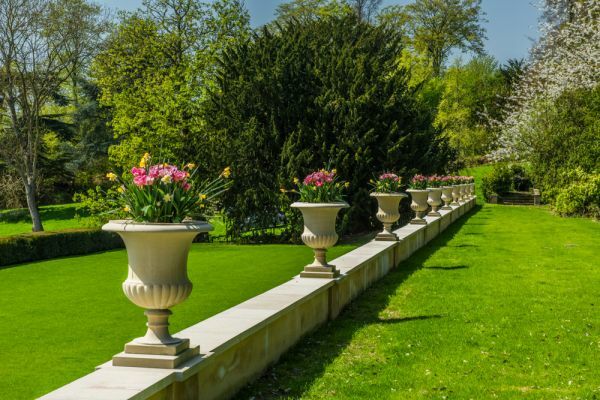 The garden was the creation of John Rogers, a founding member of the Royal Horticultural Society, and son of a shipowner, who purchased the Riverhill property in 1840. 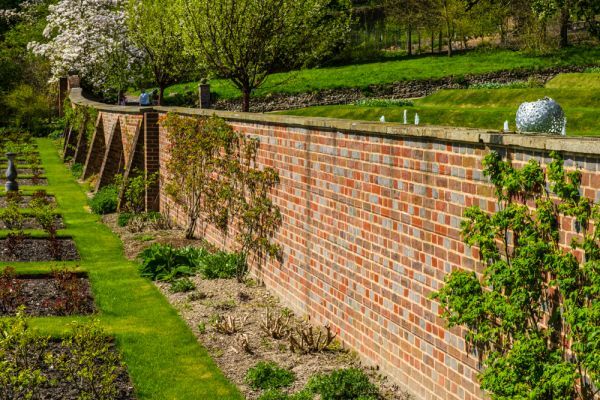 Two years later Rogers set about creating a Himalayan garden that took advantage of the south facing slope and sheltered position of the grounds below the house. Here Rogers hoped to find fertile ground for trees and shrubs only recently introduced into the country. Among the notable areas of the garden are a Rose Walk, which in turn leads to the Wood Garden. Here, the rich colours of azaleas and rhododendrons mix with underplanted bulbs in spring to create a rainbow of lush colours. In the Wood Garden are examples of redwood, lime, oak, cedar, and numerous acer trees. Near the house is an old orchard, and wide lawns to enjoy. Riverhill is located just off the A225 immediately after its junction with the A21 Sevenoaks Bypass roundabout. It is very well signposted and easy to find. We visited on a gorgeous sunny day in April, when the bluebells were at their very best. Chestnut Wood, up a slope from the house and formal gardens, was a sea of blue, a lush layer of bluebells carpetting the woodland. I don't think I've ever seen such a wonderful display of bluebells; it truly was stunning. 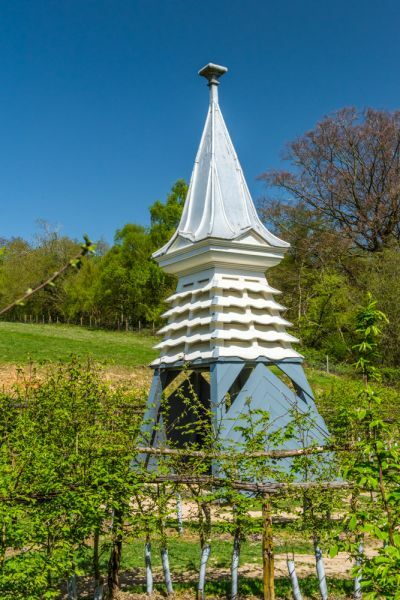 When we visited, Riverhill had made special arrangement with the neighbouring property to allow visitors to enjoy a circular walk through bluebell woods outside the actual bounds of the Riverhill estate. Though the walk was pleasant we found the bluebell display inside Riverhill to be better than the neighbouring property. One recent addition to Riverhill is a Himalayan Hedge Maze, an intricate maze with a Himilayan temple at its centre. This proved extremely popular with visiting families that we encountered - and it was very challenging for us to find the centre of the maze. 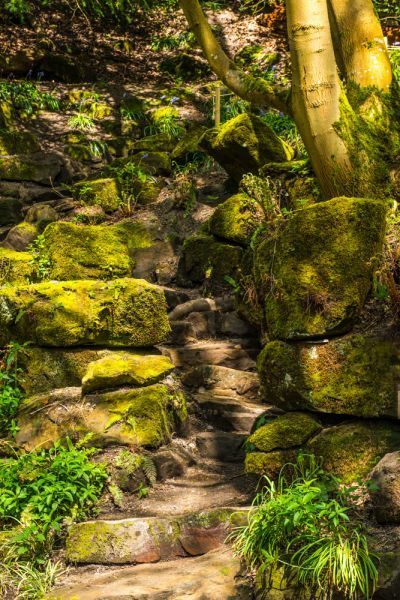 One interesting garden feature is the Hidden Rock Garden. The name says it all; this area of the garden really is hidden. Even though we followed signs to the Hidden Garden entrance we still walked right past it and had to wander around in a befuddled state for several minutes before we actually found the way into the garden. The Hidden Rock Garden is beside the Old Orchard, and bounded on the north by a camellia glade. 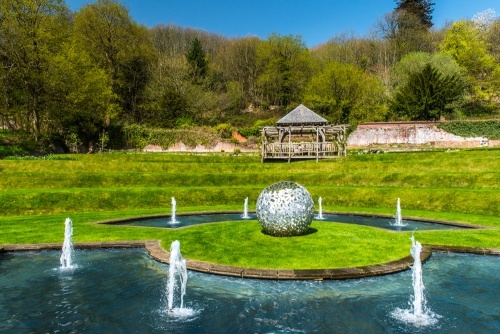 A short stroll from the camellia glade is a primrose meadow and further along the hillside is a wondeful walled garden centred on an unusual water feature, seen in the photos accompanying this article. On the south side of the walled garden is a rose walk. We thoroughly enjoyed our visit to Riverhill. 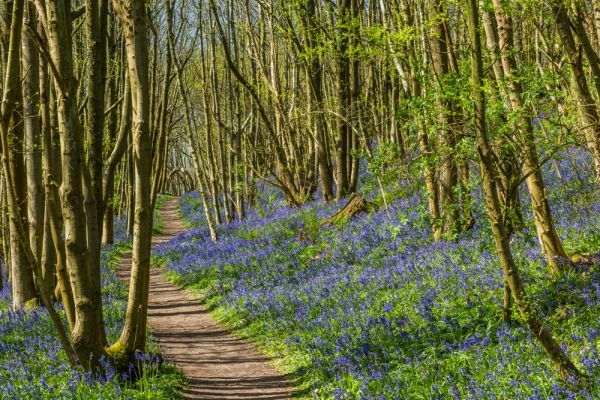 If you get the chance to visit in spring when the bluebells are at their best, please do it! Riverhill was one of the best bluebell gardens we have ever visited.